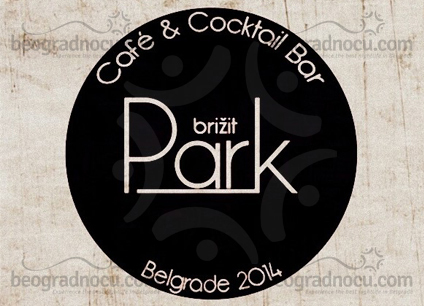 Brižit Park Bar complements a bar scene in Belgrade in very original and modern way. This urban place is located in most popular Street, Strahinjića Bana No 57. Brižit Park Bar can accommodate 100 people, that will have an opportunity to enjoy in modern rhythms of pop, diesel music, house and RnB, bringing you a great mundane spirit to capital's Street. Brižit Park Bar is very nicely decorated place, modern and urban, mostly gathering a city crew who can recognize a quality entertainment. Brižit Park Bar offers you an opportunity to enjoy great music program, beside top service who knows how to provide you an unforgettable stay in this pleasant bar. Brižit Park Bar is just the place that lacked Belgrade, so your time in most popular street is even more beautiful, desirable and urban. Brižit Park Bar has an outstanding selection of drinks, including the most distinguished cocktails, that are fantastic. Brižit Park Bar has already become famous for its Cocktails Nights, that is very popular among famous persons that know hot to recognize the quality of Brižit Park Bar . The outstanding offer of this bar, similar to mundane places is truly magnificent. At this bar, you can come by around 9 am and drink your first morning coffee and enjoy busy Belgrade story taking place in front of you. Brižit Park Bar is an ideal opportunity for new flavors, since menu of this bar is very rich, diverse and ideal for busy lifestyle of capital. Interior of this bar is fabulously fitted together place, with warm colors and just right illumination, following the perfect city story that gathers the best crew in town. Brižit Park will remind you about friend gatherings from your favorite TV Shows, and you might wish to spend unforgettable moments right in this bar. An you will be right, because Brižit Park Bar is a one perfect story keeping up with time. Welcome!